Before data enters a Google Analytics account, you need to know how it actually gets tracked and there are different methods of doing this. For example, internet marketing services providers install tracking code directly into the website. They also using Google Tag Manager or WordPress plugins in a website for tracking purposes. Whichever method you use, it’s important to constantly measure web performance data because what doesn’t get measured, cannot be improved. 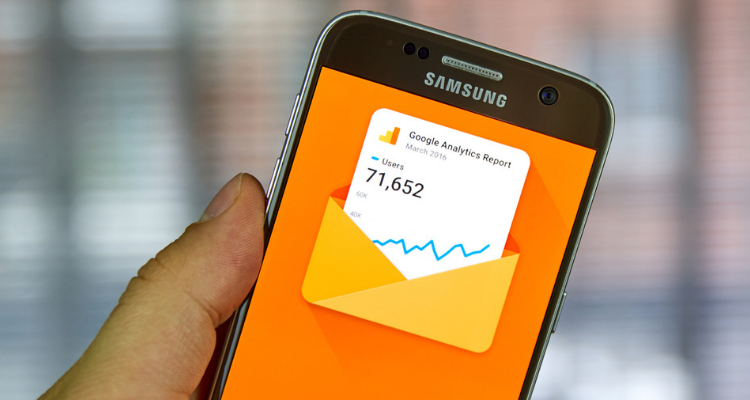 Once data flows into your Google Analytics account, it doesn’t just get stored there. The data goes through a processing engine in Google Analytics, which is basically its rule engine. This is where your raw data gets divided into sessions, into the user scope, but is also subject to a number of filters. Essentially, it’s about the rules that Google Analytics deploys. When using Google Analytics, you need to know about the processing engine, how it actually works and how you can manipulate it in order to make the data more useful to you. There are a number of configurations in the administration section and understanding these configurations is important to influence the processing engine. It’s one of the skills web marketing services providers suggest you need to master within Google Analytics. Once you look at your data within Google Analytics, you basically look at metrics and dimensions. You need to know what the difference is between metrics and dimensions and you can also dive into custom metrics and dimensions in order to build more customisable data within your account. Metrics and dimensions are also super important once you put data together, for example, you need to know about the scope of data in order to build a report. You can also look at calculated metrics, a feature within Google Analytics where you can use existing data to derive new information. Once you have all that data in your account, you probably have a question that you want to have answered by the data, and this is where web marketing services providers use data exploration and analysis. Using all the various tools that Google Analytics has available, you can to cut and slice your data in a way that gives you an answer to your question. For example, date filtering, custom segments, visualisations or simply the ordering of the data in your table can help you to look at data in a certain view and then find out the right answer to your question. Being aware of all these different mechanisms on how to slice and dice and transform the data is a core skill to have when working with data within Google Analytics. Custom segments, arguably, is the most important feature internet marketing services providers recommend that you rely on within Google Analytics. Aside from knowing what segments are, it’s important to know how to build segments within the custom segments builder and slice your data in a way that it gives the right viewpoint. For example, only looking at people who visited your website through organic search results or through your PPC search results, makes a huge reference on the viewpoint of your data, and the questions and the answers that you get from it. Always segment your data. Data doesn’t really make sense if you just look at it as an aggregate. Another complementary tool is regular expressions (regex) which makes it far easier to filter and segment data. With regex, you can go in-depth while doing any kind of search operation within Google Analytics. This is extremely useful when you’re working with custom segments or filtering data within the interface but also when you’re doing any kind of configuration. If you think about goal configuration, regex is a tool which can help you include or exclude any kind of data within your Google Analytics account and produce custom reports. Once you start building a custom report from scratch, you might find the knowledge about your metrics and dimension very useful because this is something you can’t just put together. You need to know about the concepts of scope, what scope means within Google Analytics, and how to use it effectively in your custom reports to show your data in a certain way and put it all together. Google Analytics can be customised in a number of ways, which can make or break your data. For example, if you think about the customisation of the main tracking, is this data really useful to you? You need to know about the different feature sets of Google Analytics and how you can customise it to your business website and then configure everything correctly so you have clean data in your account to do your analysis. This is really the heart of a lot of advanced Google Analytics work where you really need to figure out how you can use Google Analytics effectively. If you’re looking to go beyond standard and custom reports, you probably want to correlate your data with data sets external to Google Analytics. That’s where the reporting API comes in. The reporting API is the file host to getting the data out of Google Analytics and into a Google Sheets or into a dashboarding software like Google Data Studio. If you’re not familiar with the reporting API, you can check out the query explorer which lets you see all that data and allows you to try out certain data exports and what Google Analytics and reporting API gives back. Google Analytics data is only useful when you take action on it. 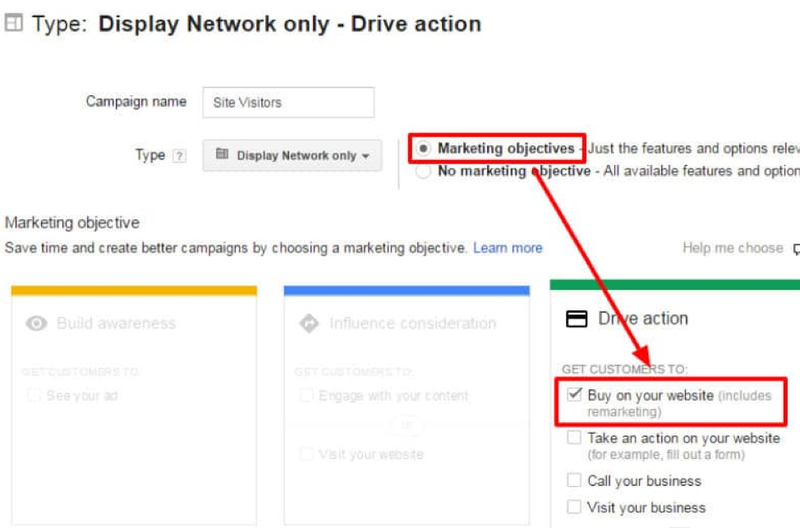 The next step is to build a custom segment so you can re-target within AdWords, another great feature of Google Analytics. As the name suggests, remarketing campaigns are geared toward showing ads to audiences that have already engaged your site or application. This strategy provides businesses with the means and insights for reaching out to people who have already seen your product or service but did not buy for some reason in the first instance. 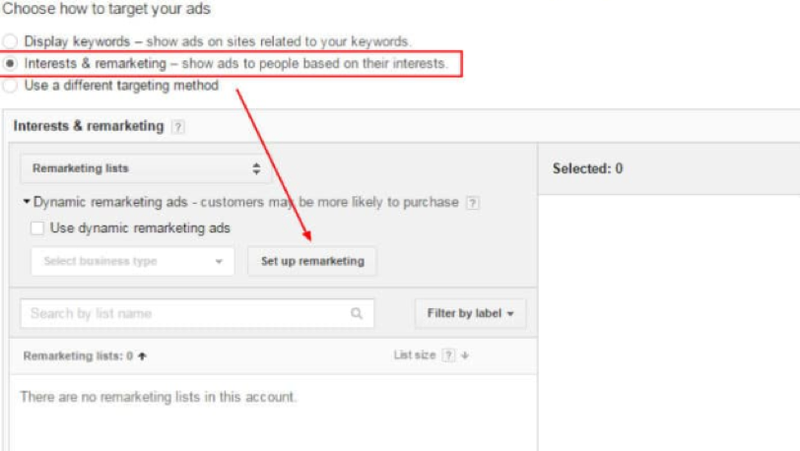 Look for the section on “Choose how to target your ads” and click on “Interests and Remarketing. A drop-down menu will appear; select “Remarketing Lists”. 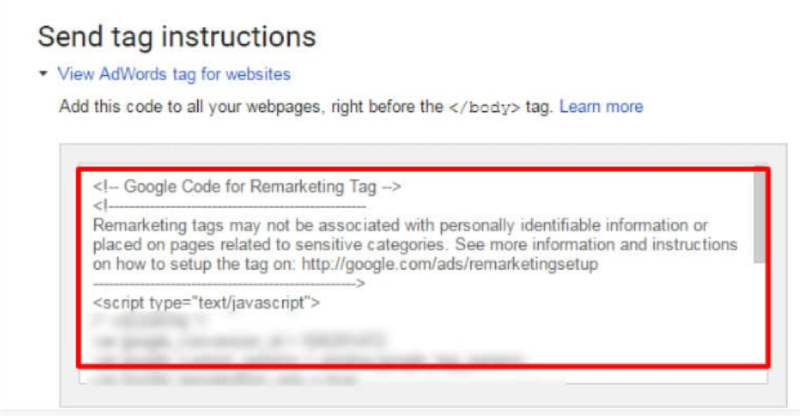 Adwords provide you with a remarketing tag similar to the one shown below. You can forward the tag to yourself or to your webmaster along with instructions on how to integrate the tag to your site or application. 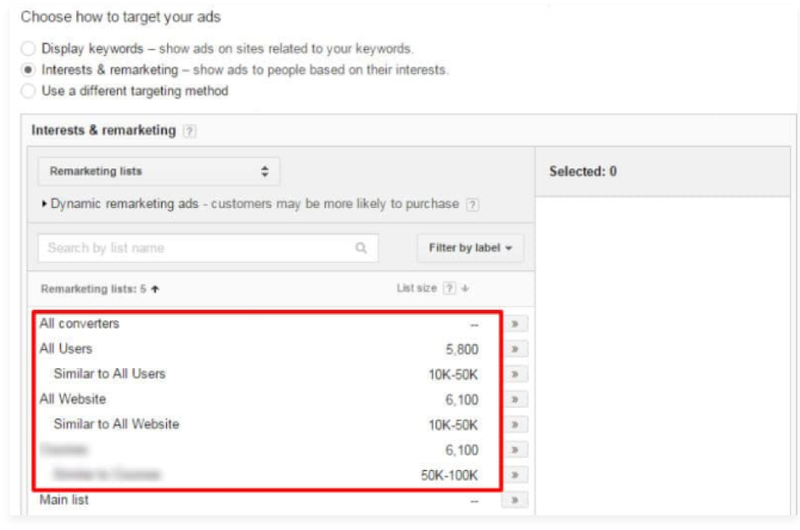 Adwords will provide you with an “All users” list by default. This list records all the users who have visited your website in the past. You can then create a new list that you can use for a retargeting campaign. Set your ads with retargeting in mind then click on “Save and Continue”. 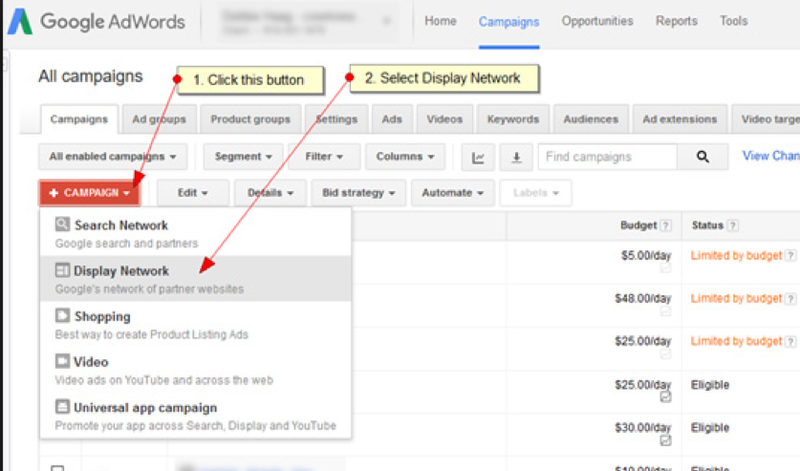 Adwords will begin showing them to the people on your remarketing list. Know that you can also use the data to start an A/B test within Google Optimise, for example. Or even prepare data for presentation to show your stakeholders for triggering change within the organisation. Attaining mastery with Google Analytics takes time and effort, and it is worthwhile setting aside some time to fully grasp this invaluable tool. The alternative is to use the services of competent web marketing services providers who can assist with extracting data and providing insights which can be used to make astute business decisions. What Is Remarketing in Google Ads?